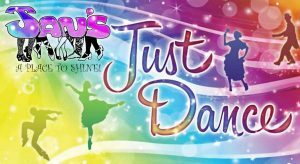 JSOD – Jans School of Dance, Inc.
Jan’s is a Place to Shine! Jan’s School of Dance believes the gift of dance is a valuable choice and can be an important asset in all aspects of development. Dance is an excellent exercise for the mind and body. Non-competition class pictures, as well as Giant Clog, seniors, and 15 year award winners, will be on May 8 and 9. Please see schedule and order form below. Non-competition classes normally held on Tuesday, Wednesday, and Thursday will have class the week of May 27 to make up for days cancelled due to snow. Competition Dates Announced – Save the Dates! Registration forms and class information available! Registration is ongoing. Dance encourages large muscle movement and promotes greater joint mobility. It also improves muscle tone, spatial awareness, coordination and social interaction. Jan’s offers a dance class for students of all abilities on Fridays from 3:45-4:15pm. Cost is $32 per month plus $15 per child annual registration fee. Complete the non-competition class registration form and come join the fun! Order your Revue 2018 DVD!